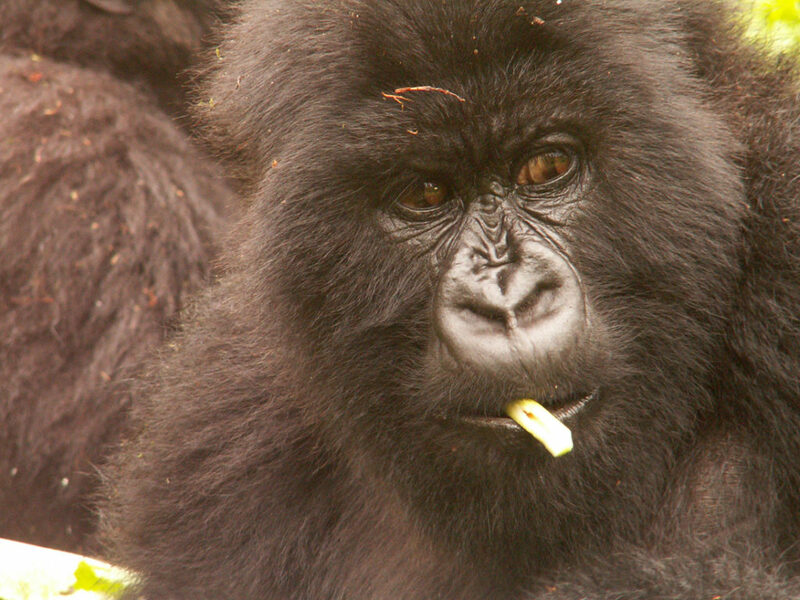 The mountain gorilla census results just released not only showed an increase in their population to 604, up from 480 in the 2010 census, but also provided information about gorillas who had left the monitoring areas some years ago, joining groups that are not habituated to the presence of humans and thus not followed by trackers or researchers. This information also allows us to understand the genetic variability in the population. Even more exciting, the genetic analysis also helped us to localize individual gorillas who are no longer in the groups that are monitored every day. These gorillas had emigrated to non-monitored groups at various times, and so we have not been able to track them since they left. 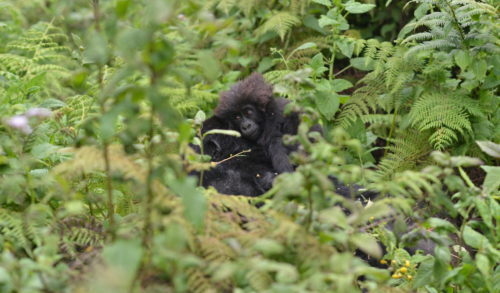 Many of the Fossey Fund’s trackers and researchers remember these gorillas quite well, from the time when they were in our monitored groups. 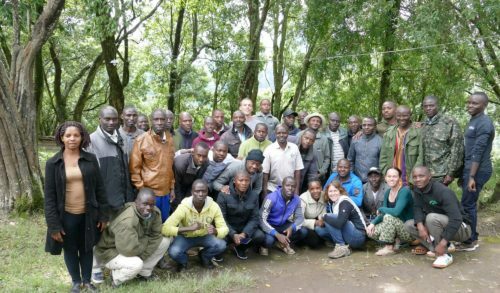 Felix Ndagijimana, who is the Fossey Fund’s Director of Rwanda Programs and the Karisoke Research Center, started with the Fossey Fund as a research assistant in 2004 and remembers Gufasha well. Makuba and Mawingu – now 29 and 36 years old – come from two different natal groups, but both joined Beetsme’s group in 2007. 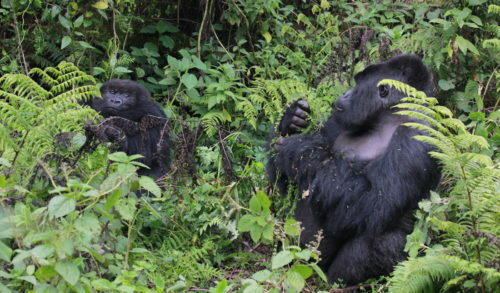 Since then they have been together supporting each other during several moves, including a brief one to the lone silverback Umushikirano, before moving to a non-monitored group in Congo, where the current census located them. 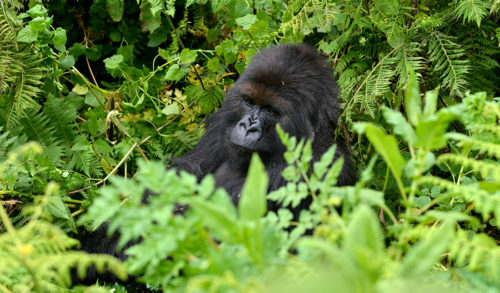 The Fossey Fund has also recently documented the disintegration of some gorilla groups due to the death of the dominant silverback, which causes the females to disperse and find other groups. 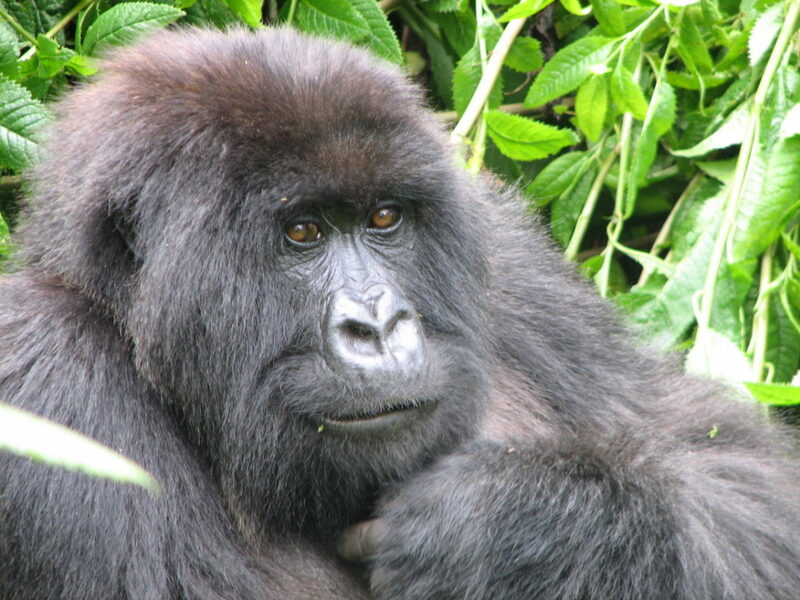 For example, females Kanama and Sabato moved out of our tracking range after the death of silverback Gushimira. Staff were relieved to learn via the census that they are fine, especially since Sabato was only 5 years old at the time of this dispersion. 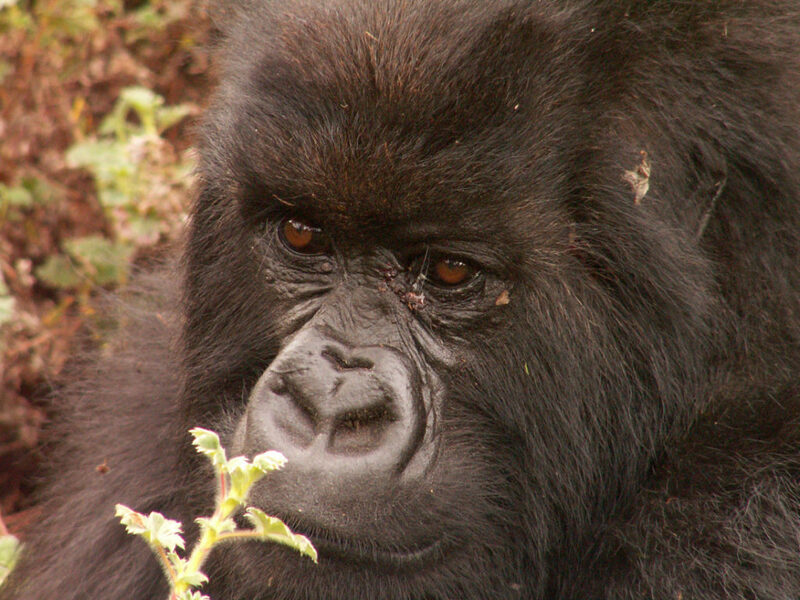 Gufasha, born on Sept. 13, 1998, in Beetsme group, to famous father silverback Titus. 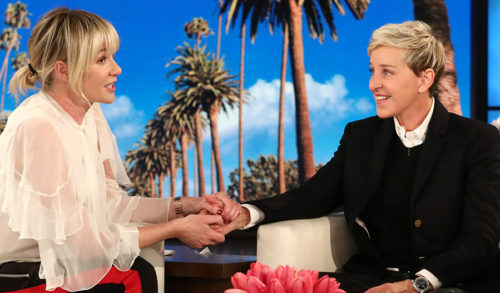 She moved to Pablo group in 2005 and then after a few weeks to an unknown group. She was found in the 2010 census too! Makuba, born on Aug. 20, 1989, in Group 5, and Mawingu, born on March 6, 1982, in Nunkie group. Both ended up in Beetsme group and have been together since 2007, first leaving with a lone silverback and then to an unhabituated group. They were also seen in the 2010 census. 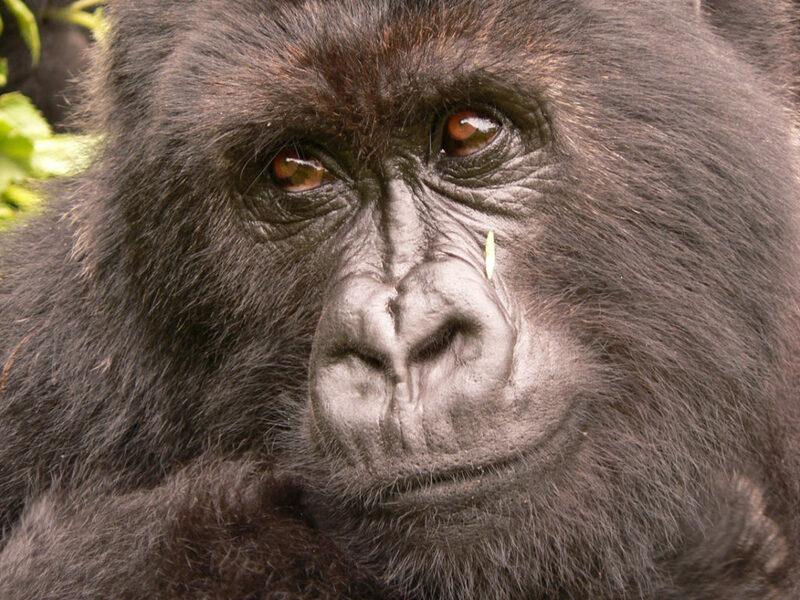 Bishushwe, born on June 18, 1985, in Susa group. After several transfers she ended up in Gushimira group. Faida, born in Oct. 10, 2000, in Pablo group and after several transfers also ended up in Gushimira group. Both were then no longer seen in Gushimira group starting in January 2015, but later were spotted in an unhabituated group in Congo. 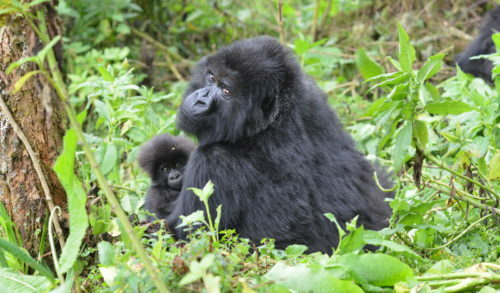 Kanama, born on Jan. 17, 2008, in Shinda group, and Sabato, born on March 25, 2010, in Ugenda group, both dispersed after the death of silverback Gushimira in 2015. Kanama was spotted in an unhabituated group together with Bishushwe and Faida later that year. 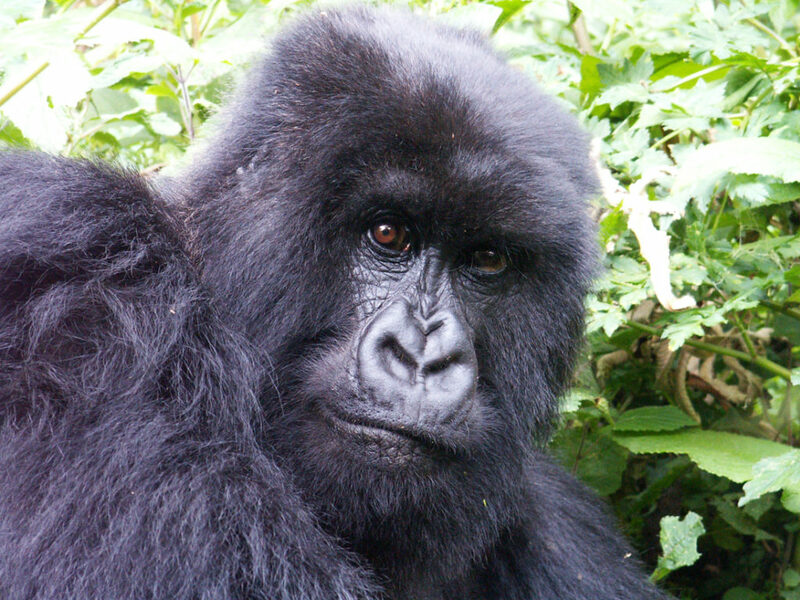 Kubaka, born on March 6, 1990, in Group 5; daughter Kunga, born July 1, 2003, in Shinda group; and Igisubizo, born Jan. 17, 2008, in Shinda group. After various moves these three lived together in Ntambara group and then left to go with lone silverback Himbara in November 2015. But they left Himbara for an unknown group in February 2016 and hadn’t been seen since. Umutekano, born Nov. 13, 1999, in Pablo group and Haguruka, born on Nov. 29, 2007, in Kuryama group, were last found on Sept. 2016 in Kuryama group. This group then emigrated to Congo and was not monitored. Umutuzo, born on Sept. 6, 2001, in Shinda group, and emigrated on Jan. 9, 2010, from Ntambara group to Umubano group. She then moved to an unhabituated group in Congo. Just like our gorilla protection teams, you can help save gorillas every single day. Symbolic gorilla adoptions have a meaningful and immediate impact in the lives of the planet’s last wild gorillas and make great gifts! 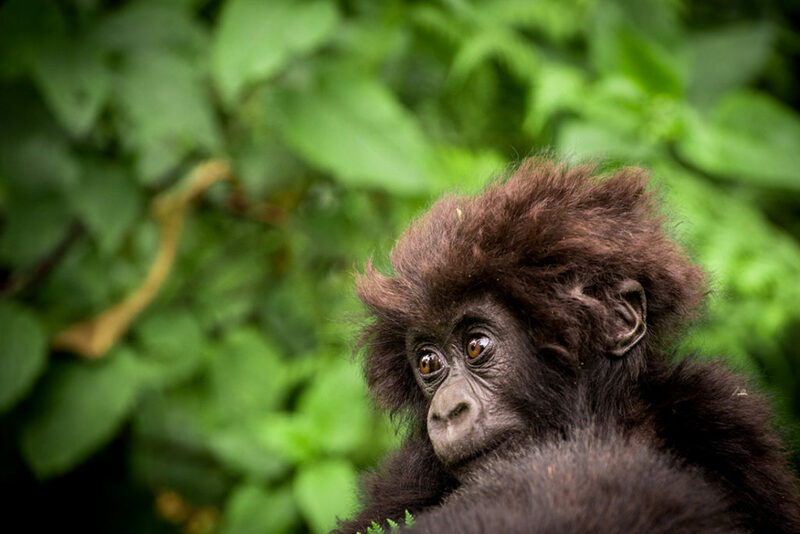 You can ensure gorillas are protected all day, every day by adopting a new family member today!